It’s a baby bonanza- springtime at the Calgary Zoo! It’s the first week of June, and spring has been busy so far here at the zoo! Many of our species in Canadian Wilds have new additions in their habitats, and Destination Africa didn’t want to be left out… so just how many cute animal babies CAN you see during your spring visit? Double trouble! 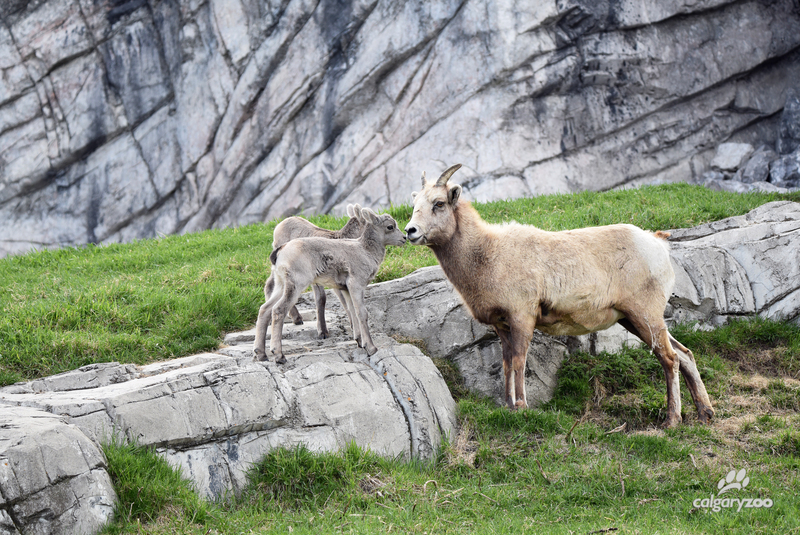 Two separate bighorn sheep gave birth to a lamb- at almost exactly the same time. These smart mama’s can be seen co-raising their two offspring. These are two climbing cuties! Keep an eye out for the two lambs chasing each other and climbing anything and everything in their habitat. Mama’s… calf? This shy little muskox likes to keep close to its mother, often hiding itself below her shaggy coat. Keep a sharp eye for this mini-me when you’re near the habitat by Cequel Lodge. A little patience will result in a glimpse of someone seriously cute. 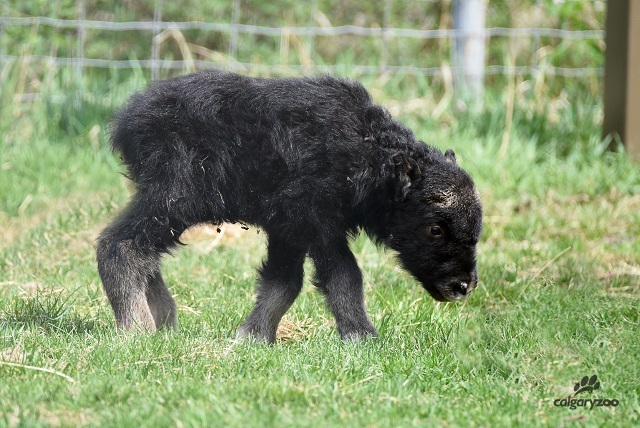 This year’s muskox calf is seriously sweet. They’ve got their eyes on you! A visit to the Jihad Shibley Rocky Mountain Aviary proves that these owls don’t miss a beat. A reminder- if you find the aviary closed for a few days, that’s because mama owl is being a little protective of her young. In this circumstance the aviary will reopen after a few days and some relaxing alone time for the growing family. 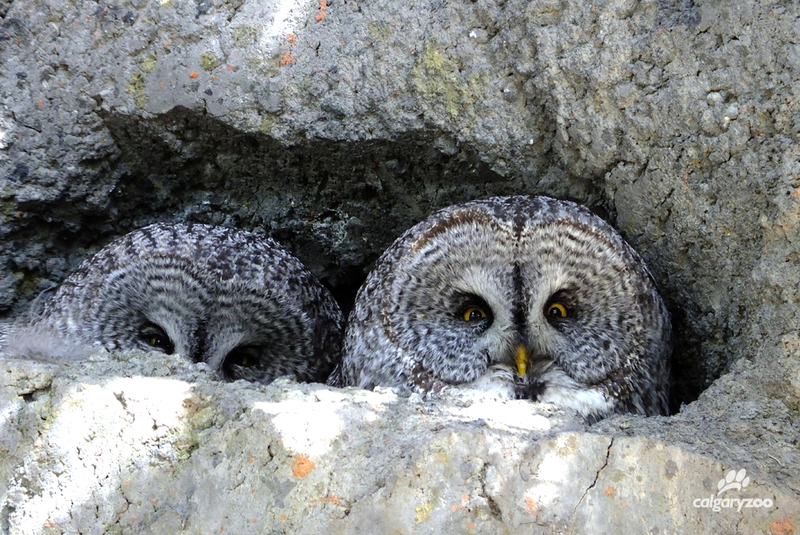 Look out- great grey owls have fantastic senses. This year we have three Rocky Mountain goat kids! Two of the three are a set of active twins. 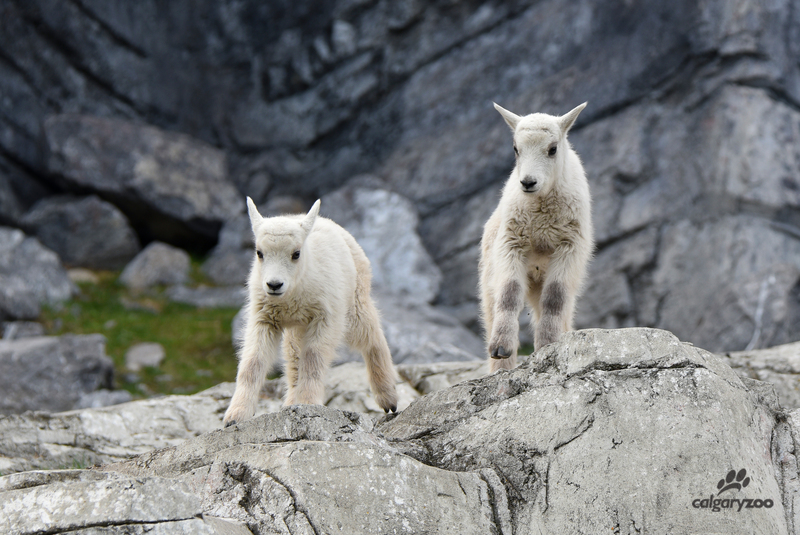 Like the bighorn sheep, several young born at the same time are always fun to watch- catch them jumping and playing together in the rocks. Holy hoglets! Red river hog mother Ine had a litter of four this year! Visitors to the zoo know to look out for the little ‘watermelons’ in the African Savannah. If you’ve got a good eye, you can see just that – these hoglets can have beautiful blue eyes. Holy hoglets! 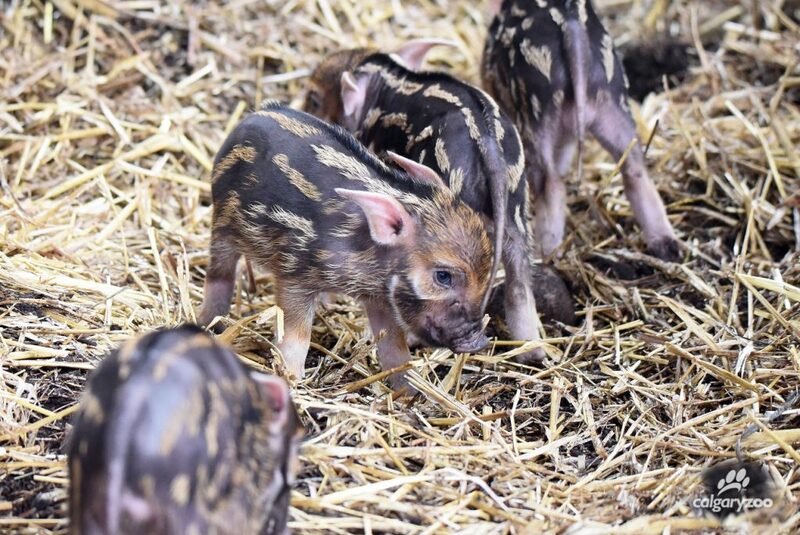 Red river hog mother Ine had a litter of four this year! Keeping it wild. 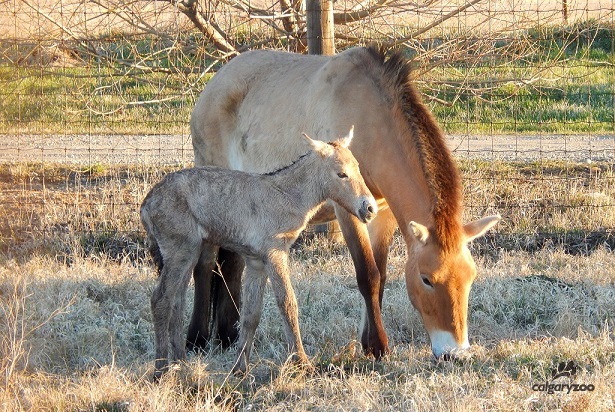 We can’t forget our Devonian Wildlife Conservation Centre, which welcomed a Mongolian wild horse (Przewalski’s) foal in early May – a sure sign of spring. While not visible to the public, we’re happy to share pictures of this beautiful addition to this endangered species. Join us here at the Calgary Zoo for a the cutest visit you’ve had all year! Your visit to the zoo goes towards wildlife conservation. Learn more about our Conservation Research team, and how you can support the zoo.